O Yes! Windows 7 supports the Cool'n'Quiet power-saving features. But you don't need the Cool'n'Quiet Driver on Windows 7 for AMD CPUs. Tipp: Start the "Power Options" over "Start" >> "Control Panel" >> "Power Options". Windows-7 - FAQ-32: Supports Windows 7, the Cool'n'Quiet power-saving mode of the AMD processors? Amd power saver and amd cool and quite softs? Cool and quiet disable or enable? Amd cool and quiet setup for windows 7 64 bit free download? How to enable amd cool and quiet in windows 7? Enable cool quiet windows 7 and cool n quiet windows 8 amd? Amd col and quiet driver windows 7? Drivers cool'n'quiet windows 7 64 bits? AMD Cool'n'Quiet driver windows 7 64? Cool & Quiet amd win 7? amd cool n quiet win7? cool & quiet setting for win 7? 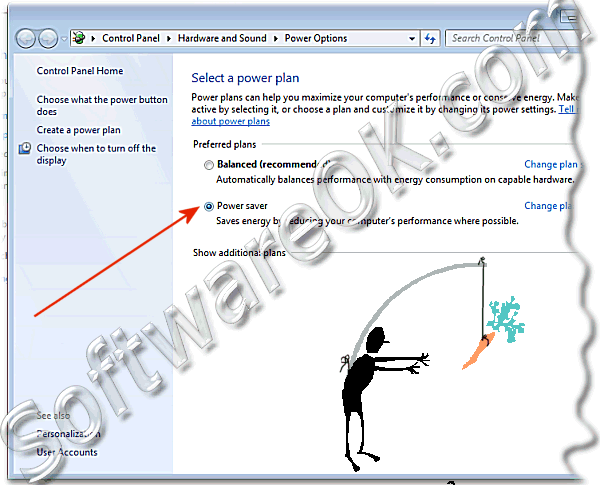 how to turn off power save mode windows 7? telechargement AMD Cool'n'Quiet windows seven? windows 7 power saving mode when connected? cool n quiet driver windows 7? cool n quiet windows 7 amd? amd cool n quiet per w7 dowload? amd's cool'n'quiet driver windows7 32 bit? cool n quiet windows 7? amd cool and quiet driver win7? how to check windows 7 cool quiet is on? AMD's Cool & Quiet download? Download amd cool n quiet windows 7 32bit? How to enable power save mode in window 7? How can i change window 7 to energy saving mode? Amd cool and quiet driver download win7 32 bit? Enabling amd cool n quiet on windows 7? Cool and quiet win 7 32bit? Amd cool n quiet windows 7 32 bit download? Download amd cool and quiet for windows 7? win 7 cool n quiet? Ho to disable or enable AMDs Cool'n'Quiet power-saving under Windows-7. How to enable amd cool and quiet in windows 7 power options? Windows 7 cool n quiet power options? Amd cool and quiet windows 7 free download? Ho to activate (enable) Cool'n'Quiet power-saving mode for my AMD processors (CPU) on Windows-7? I can't found the Windows-7 Cool'n'Quiet driver for my AMD Processor? windows 7 amd cpu cool and quiet? amd cool and quiet software windows 7 x64 download? disable cool and quiet mode windows 7? AMD Cool n quiet Win 7? amd cool n quiet cmd? AMD Processor Power Management Driver (Cool n Quiet) for win 7? download cool n quiet windows 7? Amd 64 enable cool n quiet windows 7? Amd cool and quiet windows 7 wattage? I think my Cool'n'Quiet drives dont work corect on Windows-7? Can I Improve the power-saving with Cool'n'Quiet on my Windows-7? How to run my cpu in cool and quiet mode? Amd quiet and cool windows 7? Download amd cool n quiet driver windows 7? Can't enable cool and quiet windows 7?